Much like Armada to Ready Player One or Artemis to The Martian, I looked forward to reading Robin Sloan’s follow-up to Mr. Penumbra’s 24-hour Bookstore. 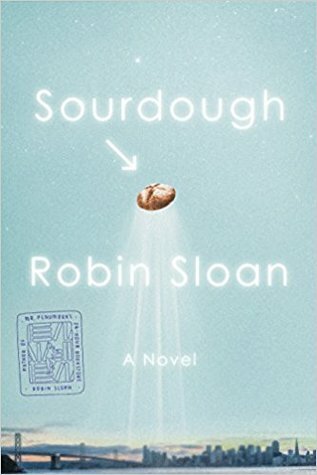 Unfortunately, much like the follow-up books by Ernest Cline and Andy Weir, respectively, I wasn’t entirely satisfied with Sloan’s Sourdough. I will give credit that Sloan’s quirky and charming style is still in high form here, it’s more that there wasn’t much of a central conflict that would have led to a satisfying ending. It’s almost like too many plotlines got into the mix, and it muddled everything up to the point where it would be too difficult to follow each to their logical conclusion.